a mask or two or three to hide his secret identity? Well the heros at my house sure needed one! 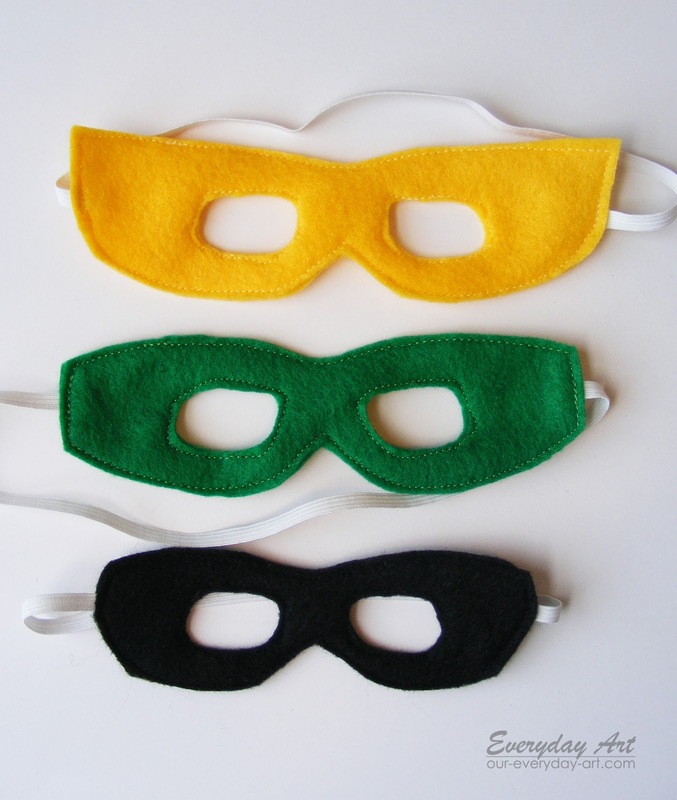 Super Hero Masks. You might just have the right stuff laying around to make your own! A little felt and elastic and you're set! I just cut out 2 of the shape I wanted for each mask. Cut some elastic. 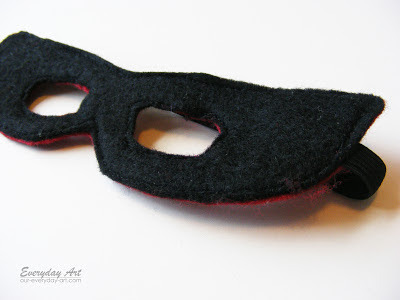 Sandwich the ends of the elastic beween the mask layers, one end on each side. 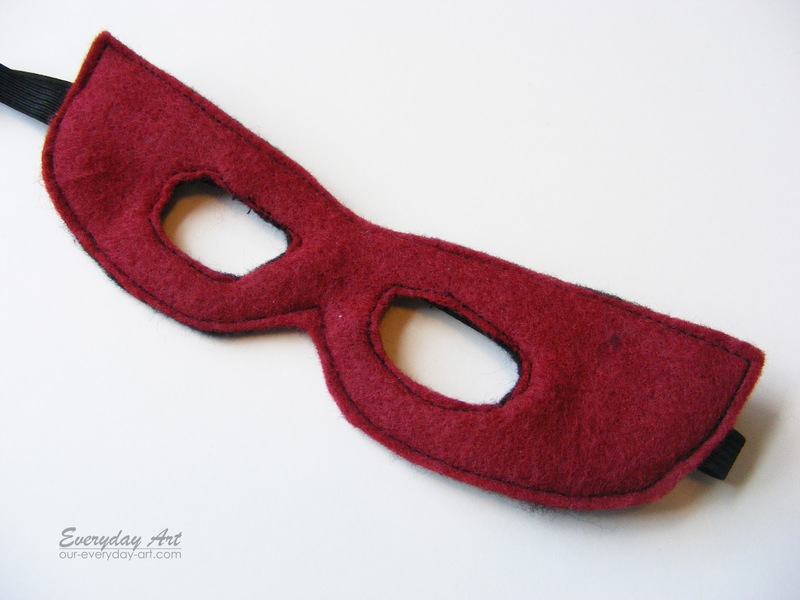 Sew around the mask's outer edge and the eye holes. That's it! 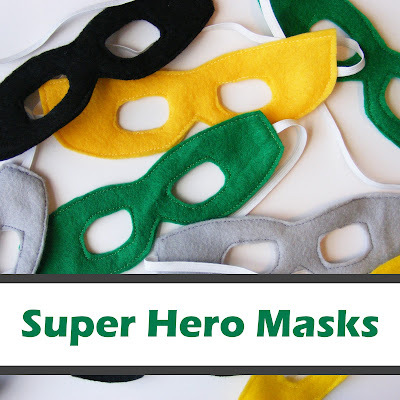 Of cours you might need to make a few in case you little super hero's identity changes every so often. I mean, batman in a green mask? Just doesn't work. 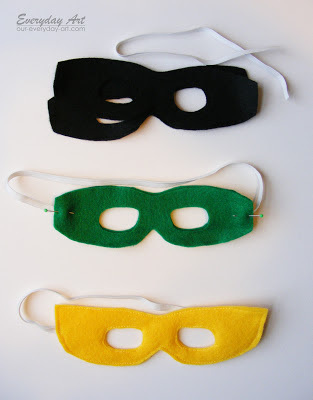 Or here's another idea, make the mask REVERSABLE! Then your little hero can change from one super hero to the next in a FLASH! 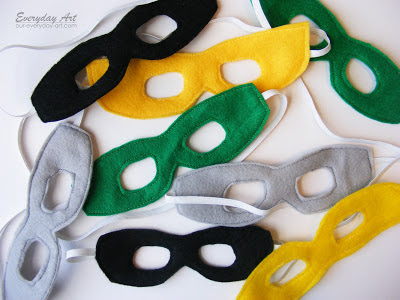 And though this project is already affordable AND easy, I thought I'd make it just a little bit better by giving you the FREE super hero mask pattern! There are 2 child-sized super hero masks and one baby size super hero mask. These are cute! It would be fun to have some that aren't associated with a specific superhero! Thanks for sharing! I'd love for you to check out our Pattern Party! Those with free patterns and templates to share are invited to link up. I love these! 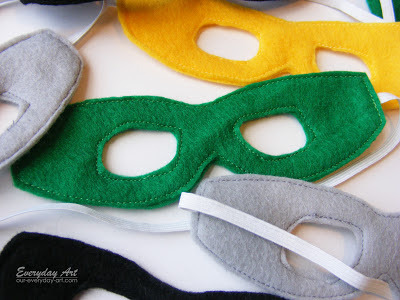 For adults or kids, I`ll definitely make these in the future :-) Pinned these to Pinterest! I LOVE these masks!! Dress up is an everyday part of our lives and with two boys I can't think of a better addition to our dress up bin!! We are starting a link up party on Thursdays (today:), and we would love for you to join us with this post and/or any others you would like to include. We are at allthingswithpurpose.com. Hope to see you there!! This is super cute! Thanks for sahring.